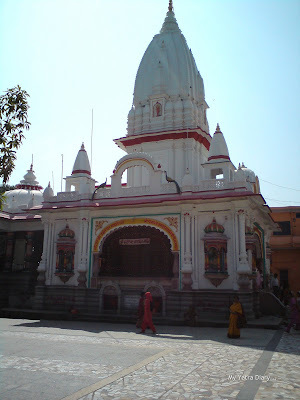 There are two very famous Siddhapeeth Devi temples in Haridwar – Mansa devi Temple at the top of the Bilwa mountain and Chandi Devi Temple atop the Neel Mountain. 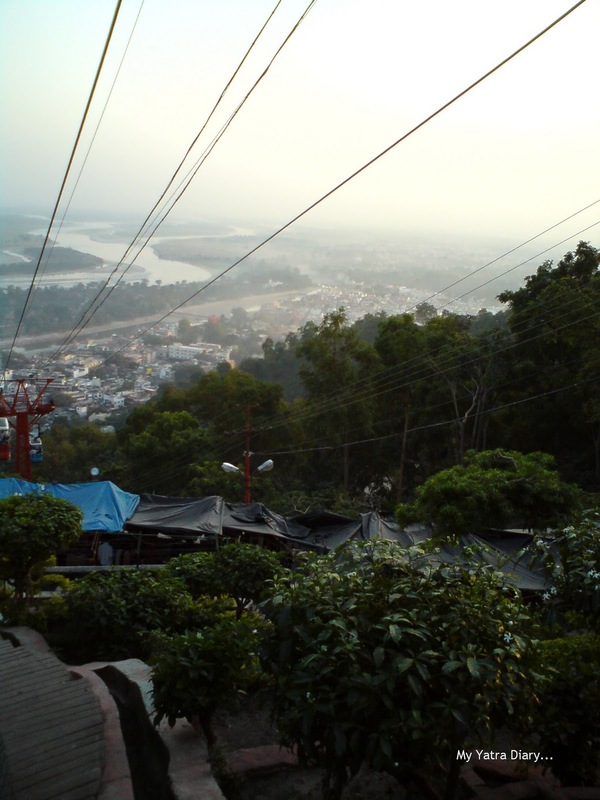 Both of these are dedicated to different forms of Goddess Shakti (a form of Goddess Durga) and offer excellent views of the town as well as the valley. 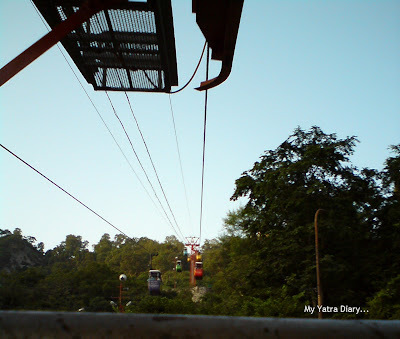 A convenient way to reach them is through the Udan Khatola or cable cars for which you will have to pay a nominal amount of charge. Tickets are available at the base of the hill. Round trip tickets are cheaper than the single round fare. If you are planning to visit both the temples, then combo tickets are also available at the counters. However, alternatively one can even decide to walk all the way to the temples (approx 1-1.5 km trek distance). Located in close proximity to the Har Ki Pauri Ghat in Haridwar, this tank bears significance from the Mahabharta period. It is said that while Pandavas were on their journey from Haridwar to the Himalayas, Pandava brother Bhim had made this tank with a single powerful blow of his knee. Inspite of the place having such a historic relevance, it is sad to see this place lying in a mismanaged and a poor shape today. Associated with Lord Shiva, His consort Sati and Her father Daksh Prajapati, this temple also known as Daksheshwar Mahadeo Temple is a major historic spot in Kankhal, around 3 kms from Haridwar. 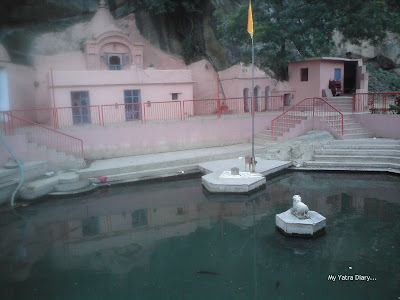 This is the same place where Goddess Sati is believed to have immolated herself following an insult of Her Husband by none other than Her father Daksh Himself. No doubt a silly question that will probably have an obvious answer but I have to ask .... You mentioned that the Goddess Shakti was a form of the Goddess Durga, can I ask if the forms differ in appearance? I have tried googling for more information but to be honest I wasn't really satisfied with any of the sites suggested and would prefer to know your thoughts anyway. Another marvelous, informative post for the day and terrific captures, Arti! Always look forward to, and enjoy the wonderful tours you take us on! Hope you have a lovely evening! Love that Bhim Goda picture Arti - what a magical place! Lovely pics from the cable car! And I love the water reflection you caught at the temple. Is this temple pink? A journey to that place through your words :) I especially love the photos, and of the Bhim tank! Looks serene in spirituality! 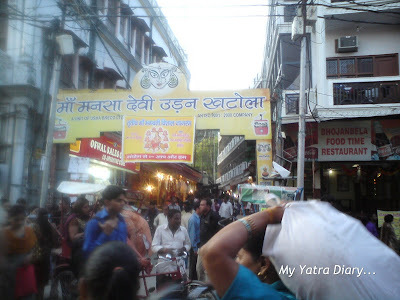 On your blog, you have 12 posts with the label Haridwar. It's like an encyclopedia. I think whenever anyone wants to plan a trip to Haridwar, they should read all your posts first. Thanks for all this!!! A ride in that cable car sounds interesting. Amazing! All the temples in Haridwar are so wonderful. 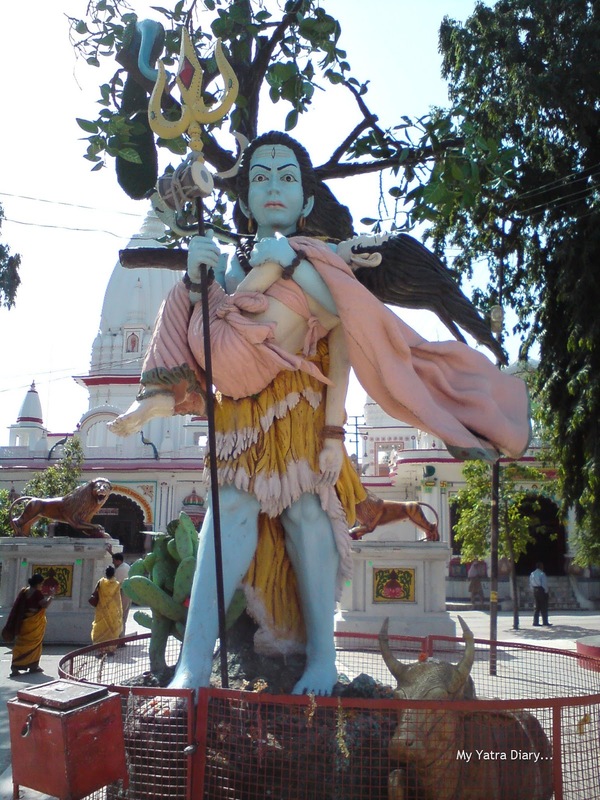 The image of Lord Shiva is really very beautiful, quite huge as well. Nice pics. @...Petty Witter The chief feminine divine being is referred to as Goddess Shakti in Hinduism. She is the main source of female Godhead, who is then represented by different forms and appearances – like Goddess Kali and Goddess Durga – to which we pray. We have a festival in India, Navratri where we worship 9 different forms of Goddess Shakti in her varied appearances. Each one of them has a different form, each is known for Her peculiar characteristics and features but at the base of it all, they are all ONE – A manifestation of Shakti. I would love a ride on the rope car..I have never been on one yet.. Very good post Aarti as usual. I liked reading it ..! This time around the pictures take the limelight;) The Bhin Goda tank looks stunning and the view from the cable cars are amazing. Astounding narration, as usual:) Do keep up the good work, Arti! Amazing place and your photos really nice! In thanks for the interesting tour! is it telepathy? 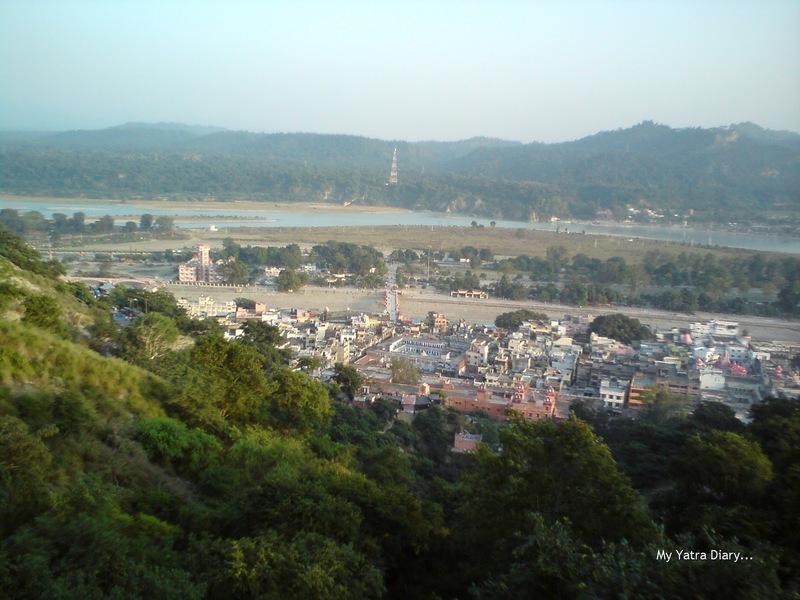 I am planning to go to HAridwar next week and was going to mail you asking about the places there. And you post the very same thing! thanks Arti! Very nice post Arti! Love the photo of Shiva and Sati - very interesting - will be a nice doll for a Golu, don't you think? Brought back memories of reading the story of Shiva and Sati in Amar Chitra Katha! My post on Navratri still pending! i think i'd prefer to walk than ride on the cable car. The view from the cable cars looks wonderful! Simply beautifully captured shot...lovely ride through the place! A nice description of the lovely places! Hope to see Haridwar some day. Nice description and informative . I loved the post. It seems you have spent quite some time there. I had visited all the places many times during my stay at Haridwar. 20-30 minutes to go up to Mansa Devi temple by stairs.There were no stairs for chandi devi temple and it was far away with quite lonely path/pagdandi. Thanks for a nice presentation.